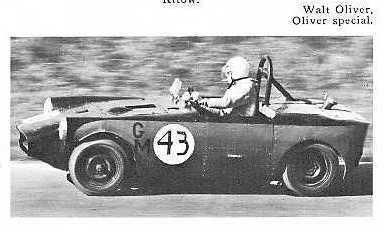 Aparently, Walt Oliver ran an Oliver Special in G Modiifed in the Midwestern Council of SCCA in 1965. 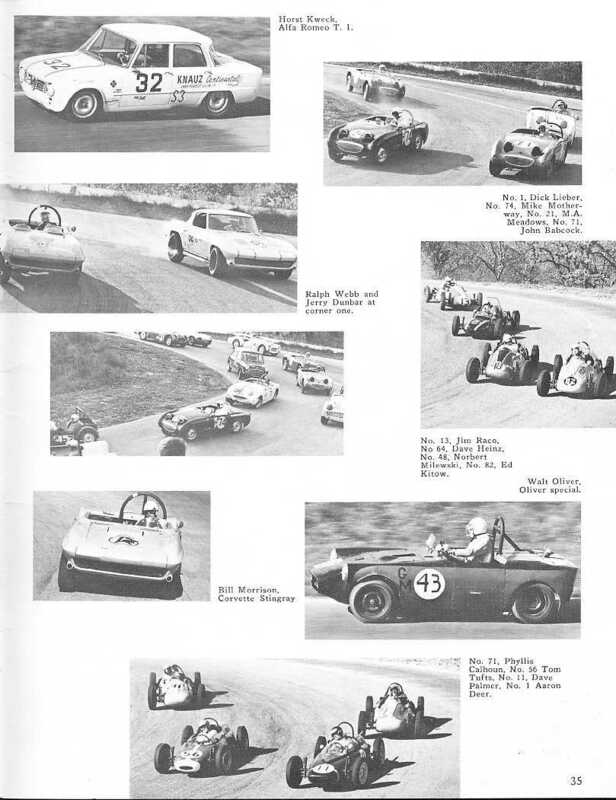 This is evidenced by the photo on the right, taken during the October 31, 1965, ENdurance Races as seen in the 1965 Klaxon Yearbook1. 1This photo was cropped from a larger image pulled from the 1965 Klaxon Yearbook from the MidWestern Council Sports Car Clubs website.